I was happy to find this shoreline of Autumn colors reflected in a small lake yesterday. I enjoy finding tranquil scenes such as this. 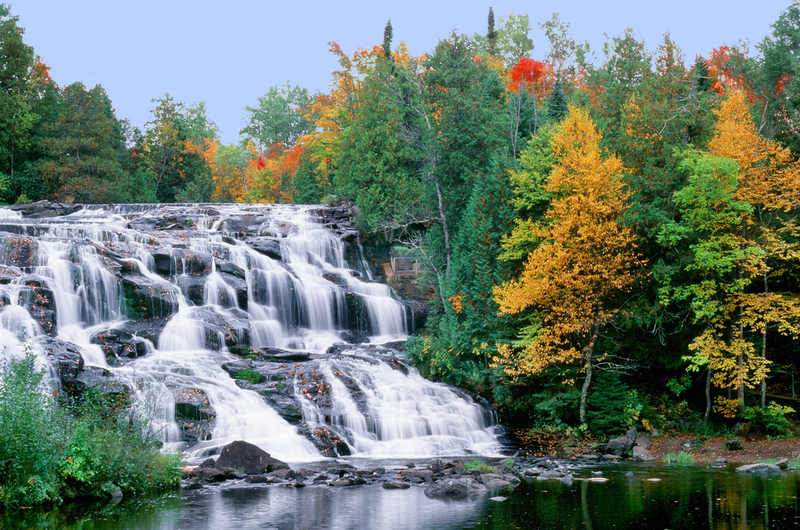 The waterfalls of Northern Michigan stir feelings of power, renewal, wonder, tranquility and beauty as they rush forward in their never-ending journey that is part of nature’s wonder. There are many to be seen in my home state, although driving to some near the Michigan, Wisconsin border from where I live in Southwest Michigan would be the equivalent of driving past Pittsburgh, Pa. That’s about nine hours of nonstop driving over a distance of about 500 miles. However, if you take a shortcut via Muskegon’s Lake Express Car Ferry, the drive from Milwaukee is about 300 miles or 5 1⁄2 hours of driving. 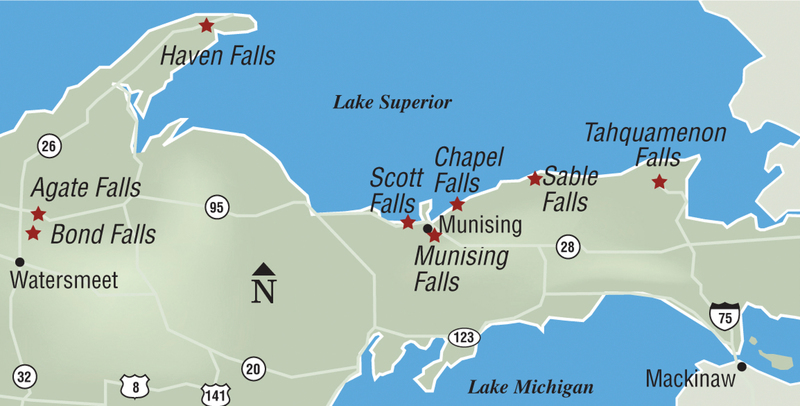 Two of the falls to visit in the far western Upper Peninsula are Agate Falls and Bond Falls. The pair are great to see in autumn with the colored trees accenting the beauty of whitewater spilling over dark rock formations. 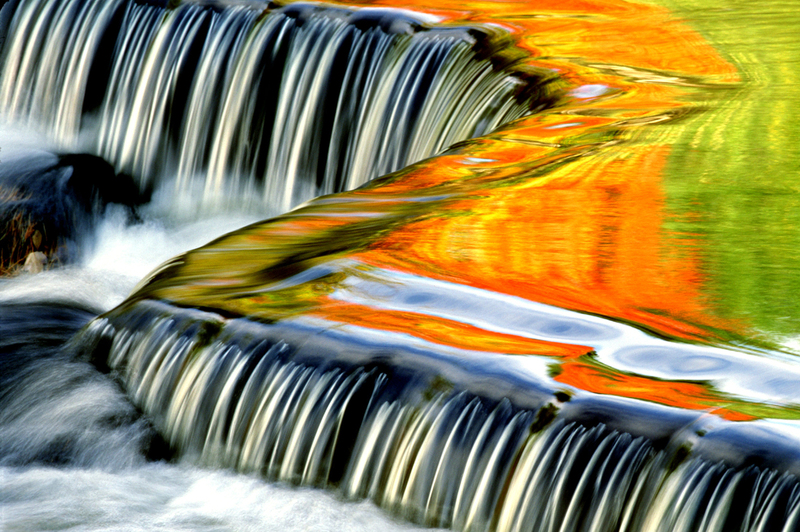 Upstream from Bond Falls is an amazing palette of colors reflecting in the water before it travels further downstream where the water is less tranquil. 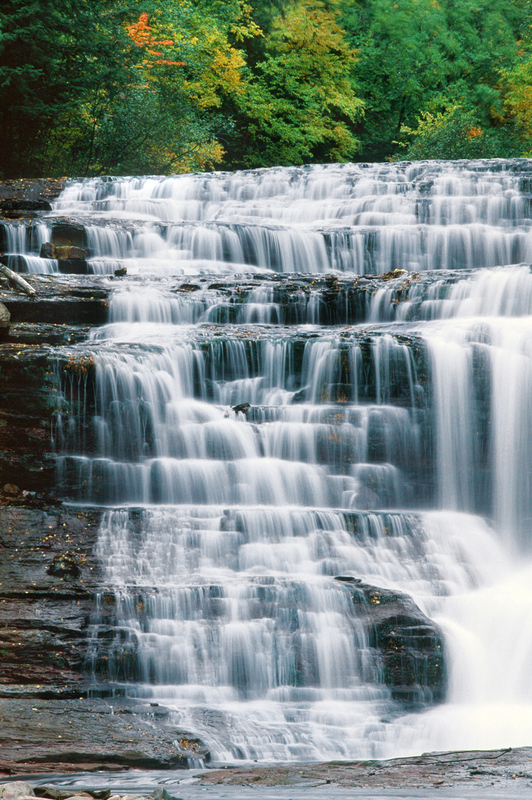 The falls themselves can be viewed from the sides or straight on with any angle being an impressive sight. 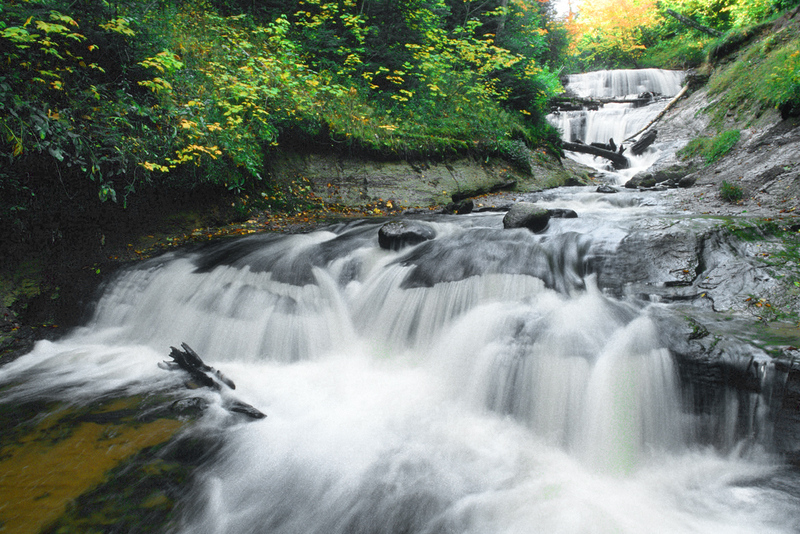 And Agate Falls is no less striking with its dark slate rocks over which a constant tumult of water cascades. 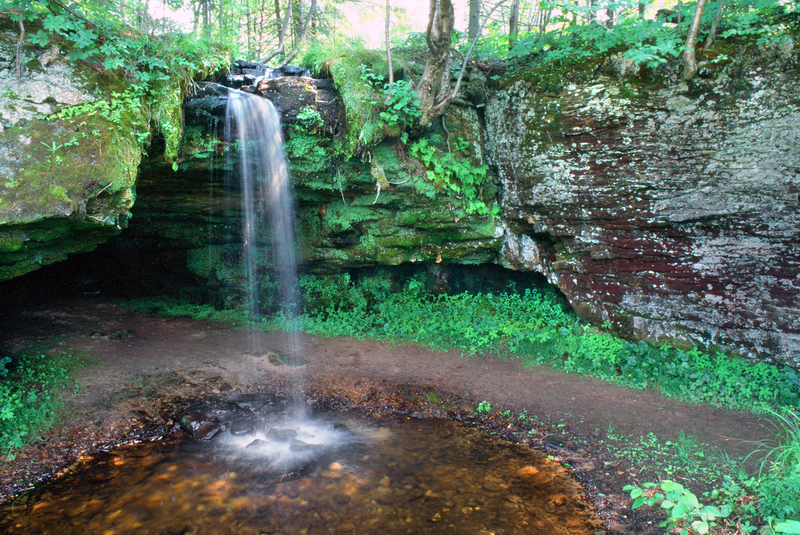 For those who enjoy a nice hike, Chapel Falls near Munising might be a great place to visit. Close to the end of a hike of 1 1⁄2 miles and through a forested trail, a distinct rumble eventually turns into a roar as the forest opens into a clearing. 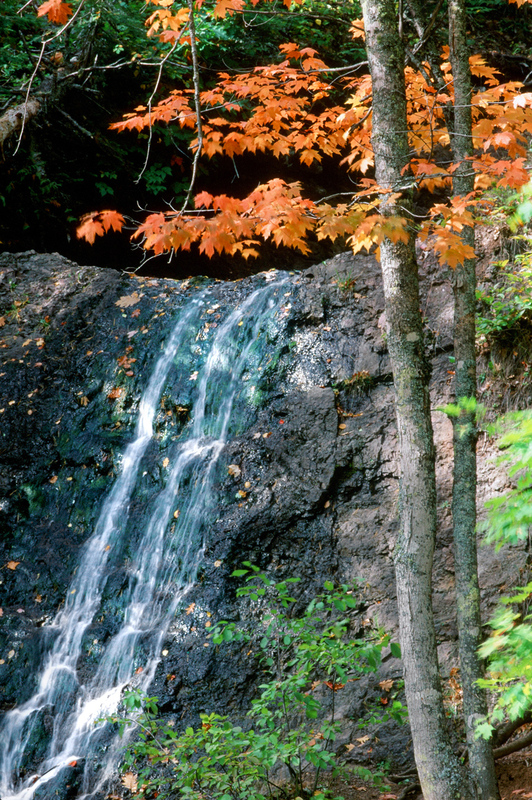 There the 60-foot tall waterfall presents itself surrounded by trees, which are beautifully colored in the fall. For more easy access there are other choices in Michigan including the more modest but still beautiful Scott Falls near Au Train and Haven Falls near Lac la Belle. Both are located just off the road. 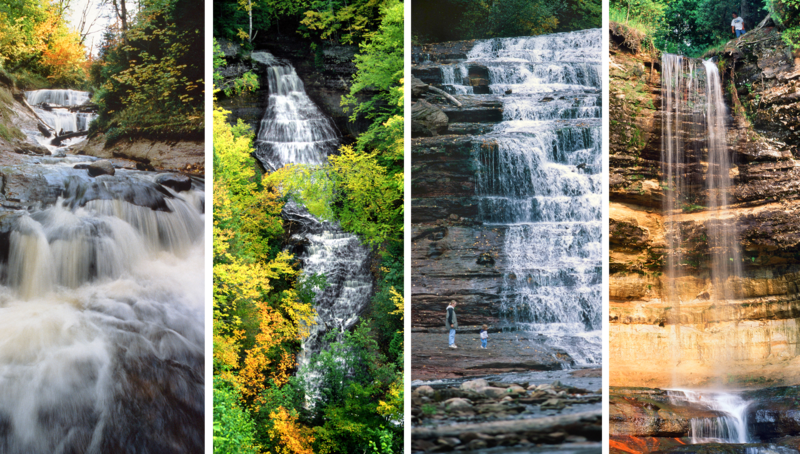 Each of the falls has its own unique character. Sable Falls near Grand Marais has a much different look than the others. 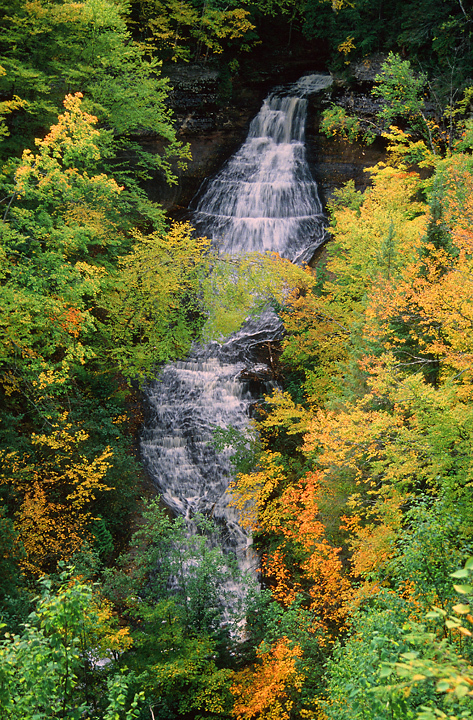 With a more gentle slope over a longer area, water cascades 75 feet down several cliffs until it reaches Lake Superior. 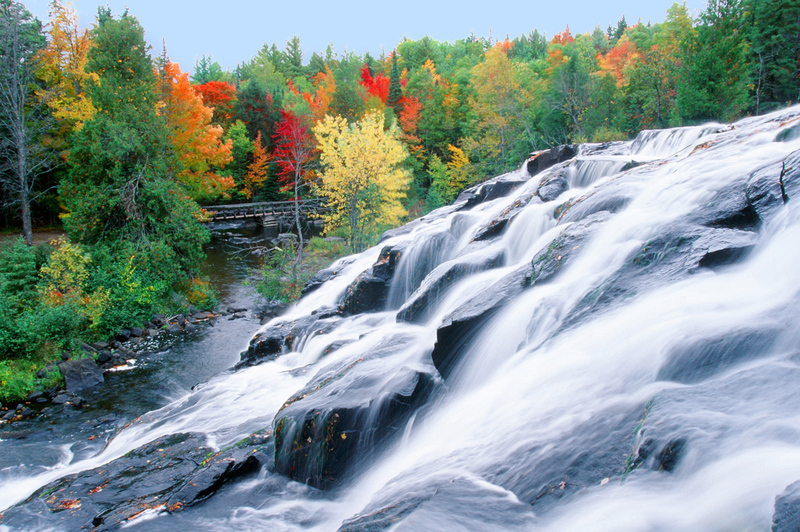 Perhaps the most well known waterfall in Michigan’s Upper Peninsula is the renowned Tahquamenon Falls. Aside from the world famous Niagara Falls, Tahquamenon is the largest waterfall east of the Mississippi River at about 200 feet wide with a 50 foot drop. Its water has a distinct brown color. 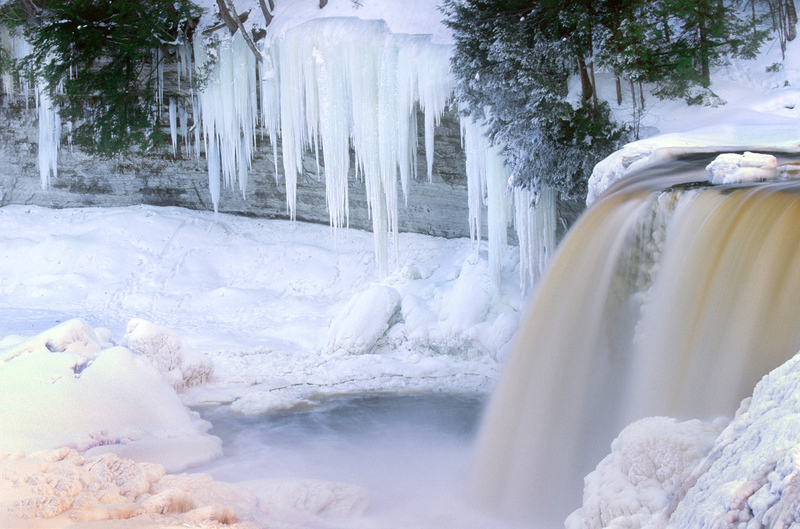 About a 1 1⁄2 hour drive north of the Mackinac Bridge, Tahquamenon Falls, appropriately is located in Paradise. For those who would brave the cold and snow of winter in the Upper Peninsula, Tahquamenon along with its sister waterfalls are marvelous to see in their frozen state as well. 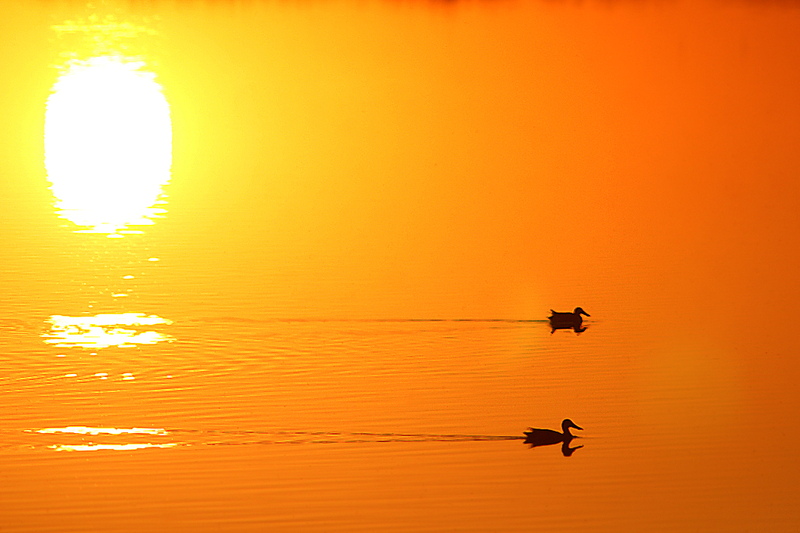 Any season is a great time to see these wonders of nature in Michigan. 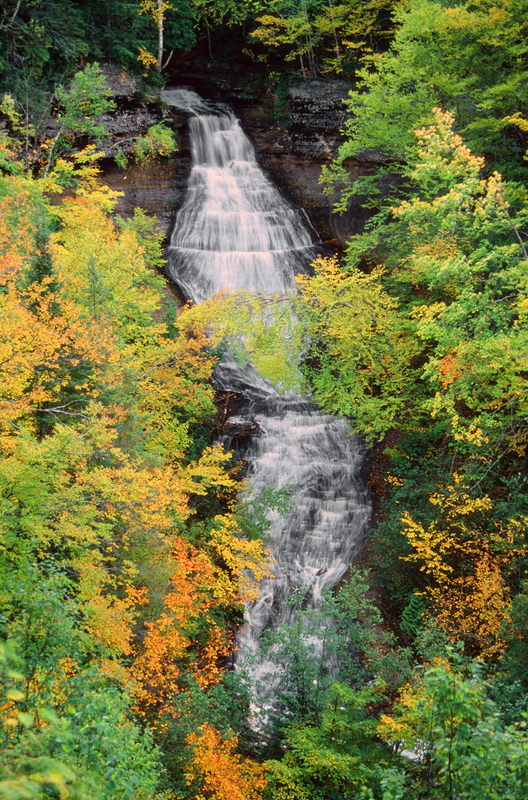 Chapel Falls near Munising, Michigan was a beautiful subject to photograph after a one and a half mile hike through nearby woods. The water cascaded down 60 feet toward Chapel Lake.